Although people use Mod Podge to make this but it takes too much time. First time I tried this with Mod Podge on which sticking the leaves with Glass was so difficult and long process, then second time I tried with Hot Glue and that took only 10 minutes. The best thing is I am using my Old Glass which got little scratch while we shifted home. I thought it's a perfect DIY to recycle my Old Glass. You can use any Candle Holder or Glass which has wide mouth. Let's make it!!! Step 1. 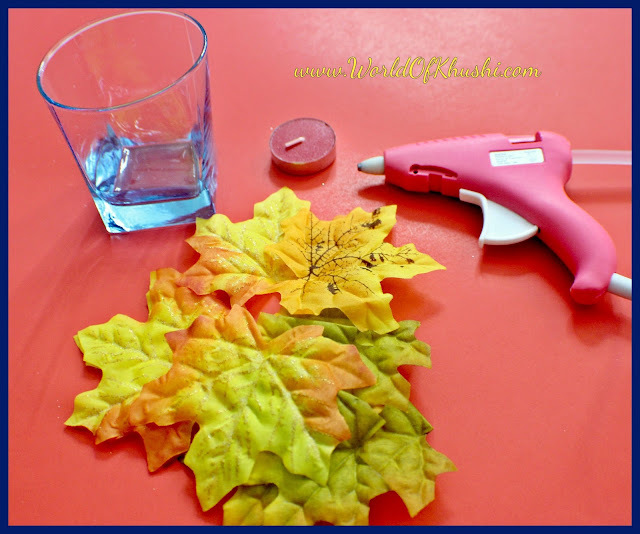 With the help of Hot Glue start sticking leaves to the Glass one by one, pressing slowly. Step 2. 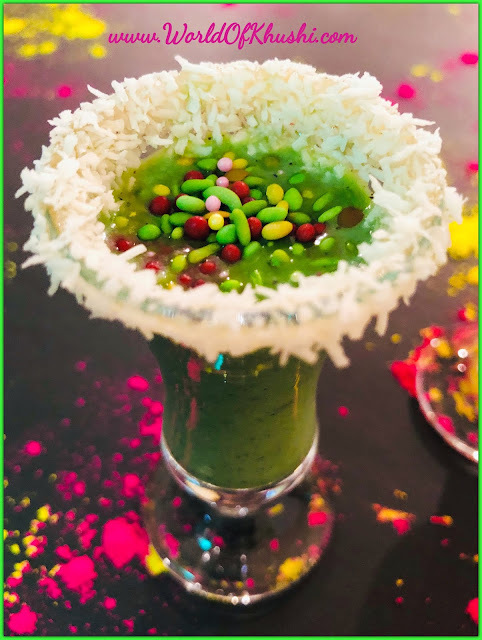 Cover the whole Glass with leaves, be creative and overlap some of the leaves on each other to give it perfect fall look. Step 3. Once everything is properly stuck and cool down, put tea-light candle inside the Candle Holder. Your beautiful Autumn Leaves Candle Holder is ready. 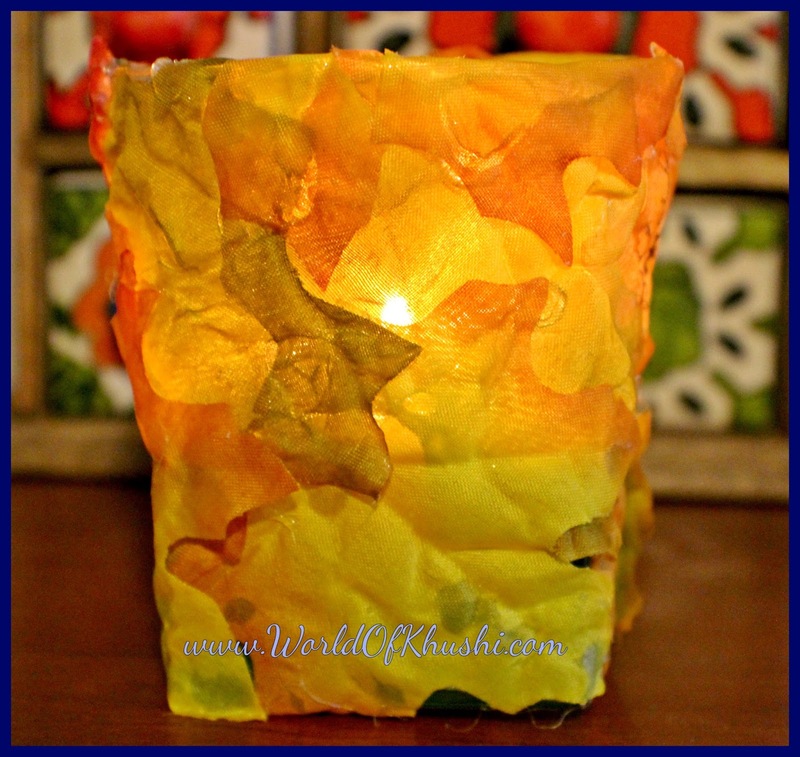 Decorate this Candle Holder and make your Home Beautiful and Fall looking!!! Note :- While using Hot Glue take all the precautions as it is super Hot. You can use any other Glue too, but you have to be little patient. I hope you will like this beautiful DIY. Do try this & don't forget to share your recreations with me using #KhushisWorld on Instagram, I love to see them.😚 Please like the post & share it with your friends and family. 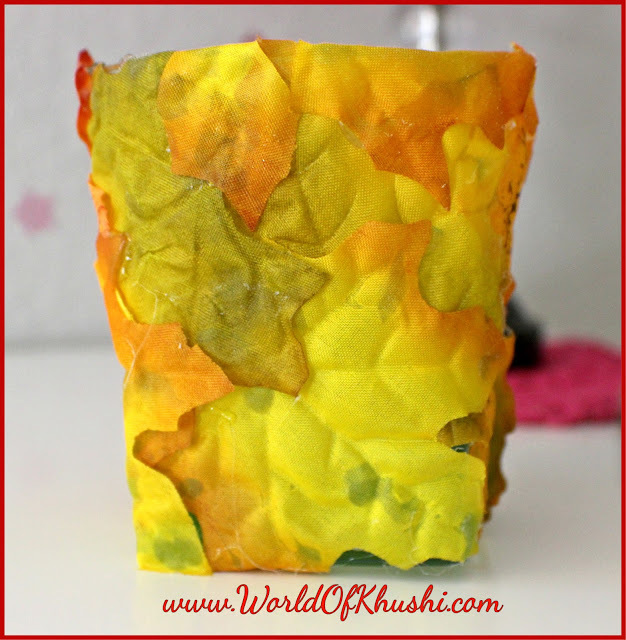 For more such DIYs stay tuned with Khushi's World. Follow me on Khushi's World Facebook Page, Google+ , Instagram and Pinterest for more Posts. I will see you in next post till then take care.